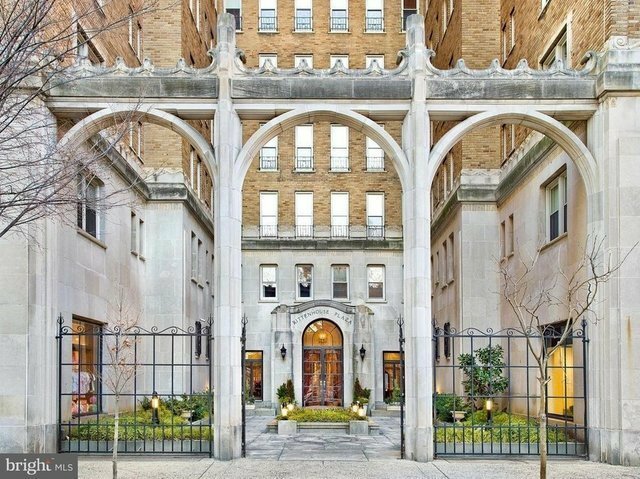 Unique opportunity to live in a Penthouse in the gracious, Rittenhouse Plaza on Historic Rittenhouse Square. This home features spectacular and sweeping views South of Rittenhouse Square as well as eastern and western exposures. Enter into a grand entry Foyer which leads to the two story spectacular Living Room with 18 foot Ceilings and oversized Arched Windows providing three sides of streaming light. There are two Balconies off of the Living Room which offer prized outdoor space with breathtaking views. Enjoy a chef~s Gourmet Kitchen with an abundance of storage, and a Viking gas stove and oven. Adjacent to the Kitchen is the large open Dining Room. The Master Bedroom Suite has a Luxurious Marble 5-piece Bath plus a powder room and three walk~in closets. There are two additional Bedroom Suites as well as a Home Office.